Mangrove Cuckoo, Coccyzus minor, is a bird that has eluded many seekers. It is elusive. It is silent, except during breeding season, and even then its location can be enigmatic. 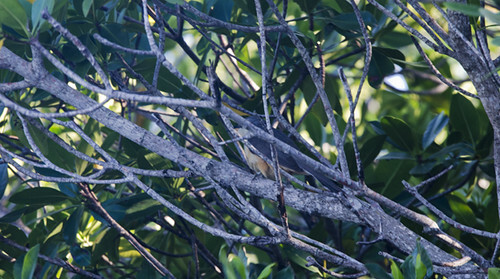 Can you see the Mangrove Cuckoo in this photo? Its numbers are in decline in Florida. 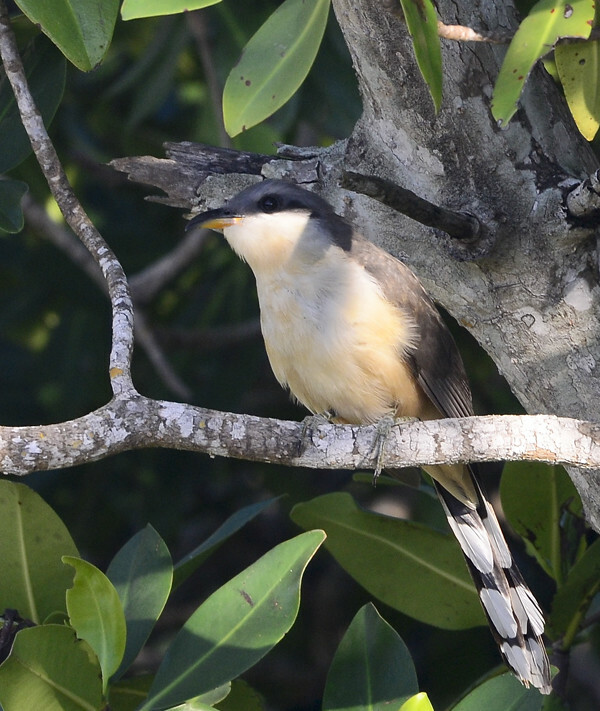 I had looked for Mangrove Cuckoo on two previous occasions: my 2006 January trip to Ding Darling and a quick trip in March 2010 to Key Largo. Mangrove Cuckoo is sometimes seen at Ding Darling, even in winter, but I didn’t looked very hard. I was still a beginner birder in 2006 and half-expected the bird to pop up in front of me, like a prize for making the trip on my own. My drive to Key Largo was squeezed in during one of my family visits to south Florida; I drove across the bridge as the sun rose and entered Dagny Johnson Botannical Park shortly after dawn. Mangrove Cuckoos breed in the Keys, and reports of the bird being found at Dagny Johnson periodically appear on the Tropical Audubon Birdboard. But, I was there too early in the year, and though I am sure the cuckoos were around somewhere, they did not make themselves known to me. Mangrove Cuckoo was at the top of the list of target birds Ian and I carefully drew up when we planned our Florida excursion, and it turned out it was at the top of the list for other birders on our Dry Tortugas trip. We pooled info on the ride back to Key West. Mangrove Cuckoo had recently been reported in Sugarloaf Key, a small island that is part of the lower Florida Keys, and John had gotten the coordinates. Not far at all from Key West. The seven of us who did not have planes to catch made plans to meet at the “cuckoo coordinates” on Sugarloaf Boulevard, also known as CR 939. We did not see the Mangrove Cuckoo at the magic coordinates. We played every Mangrove Cuckoo call we had from our pooled resources of phone apps and bird CD’s. We looked. We hoped. We listened. Nothing. Three of our group went on their way, four of us continued. Larry Manfredi, the leader of our Dry Tortugas trip, had told us the bird could be found anywhere on Sugarloaf in the proper habitat. And, Larry knows Cuckoos. We were tired. It had been a long day, our last day birding Garden Key in the Dry Tortugas, birding on the boat ride back to Key West, photographing Bridled Terns and Brown Boobies, saying goodbyes as we decamped from the Playmate. We were determined. We continued down Sugarloaf Boulevard, which became a dirt road. We continued down the dirt road till we couldn’t drive anymore. There were mangroves all around us. A narrow dirt path continued into the woods, but Ian pointed out that the dead end itself felt very birdy. We couldn’t see a lot of birds, but we could hear them. We played cuckoo calls again. Nothing. So we waited. 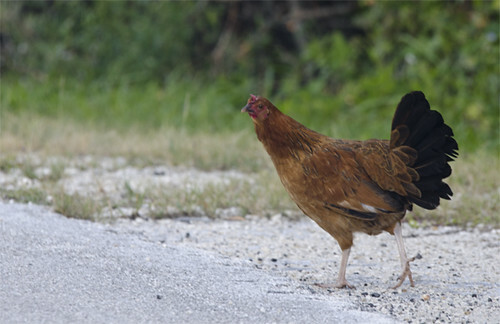 A Red Junglefowl, a bird known as making its home in Key West, stepped out of the mangroves. This was very strange. 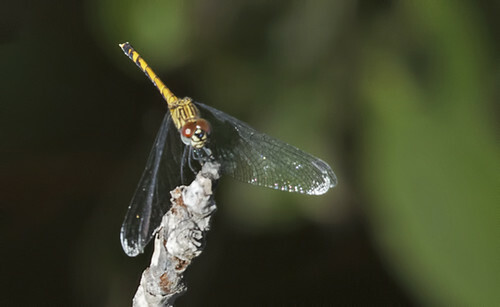 I became distracted by the dragonflies flying over a stream of water next to the trail. Little Blue Dragonlets, Erythrodiplax minuscule, mostly. I think, I hope. Small in size, wings forward. This is a female. And then, we heard it. The distinct call of the Mangrove Cuckoo. We ran towards the call. We didn’t see anything, and then Joanne pointed to something flying over the road. Yes! The Mangrove Cuckoo! 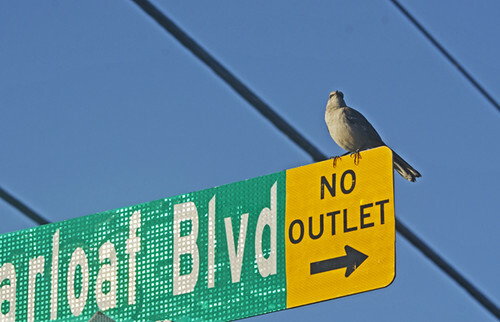 The bird was here! We waited. Calls from both sides of the road. And then, there it was, perched on a tree right at the edge, looking at us. We looked back. And we relished our good fortune, that we got to see this wonderful bird on our own, without guide or tape or predetermined coordinates. All it took was good ears and good counsel and a lot of patience. This entry was posted in Birds and tagged birds, Florida, Mangrove Cuckoo. Bookmark the permalink. Very nice. But did you cap off the sighting of the Mangrove Cuckoo with a celebratory bowl of cocoa puffs or not? Why have you left your readers hanging? I wish I could say that the four of us sang “Cuckoo for Cocoa Puff” in harmonized chorus and then downed bowls of cereal. Alas, we high-fived, jumped up and down in excitement, I think we even danced a little. But, we did not eat any cocoa puffs. We were too focused on our next target bird, Antillean Nighthawk, which sadly we missed. All the more excuse for a trip to the Keys next year, I say. For shame. On my trip with Corey to Ecuador, the guide and a few of us more ~ethical~ birders broke out in Guantanamera upon seeing the Guans. 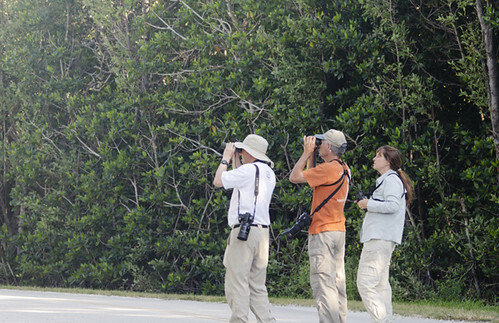 You new birders these days have really gotten away from tradition. Well good luck on your Antillean Nighthawk quest; hopefully they will have forgiven the aforementioned transgression and not instead sing “pity-pity-pity” to you. I will keep this in mind if I see the Trinidad Piping-guan in the near future.